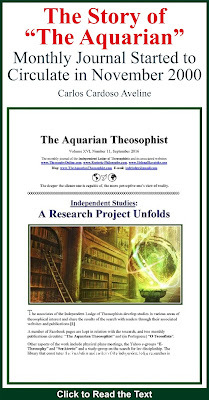 We are glad to say that the February 2013 edition of “The Aquarian Theosophist” is now available. On pp. 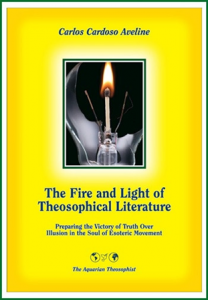 1-3, an article examines the writings of the new age author Jiddu Krishnamurti from the point of view of the original teachings of esoteric philosophy. 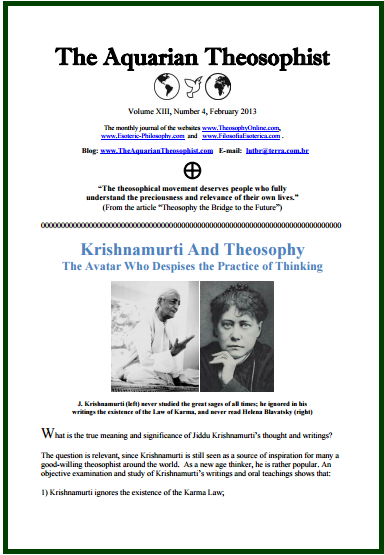 What is the actual relationship between Krishnamurti and Theosophy? Pages 4-5 present the text “How Theosophy Transcends Tribalism - A Few Notes on the Planetary Transition”. A short note discusses the need for “Self-Discipline in Daily Life”, and on p. 6 the reader finds a few paragraphs on the book “The Secret History of the Jesuits”. At pp. 7-9 there is “A Short Dialogue on the Movement: Theosophy the Bridge to the Future”. Pages 9-10 present Slavophilism and Theosophy - H.P. Blavatsky’s Mission, the Russian Soul and Geo-Planetary Lines of Occult Magnetism. In this short note we share with our readers a couple of ideas on the future potentialities of the occult effort in Russia and Ukraine. The points mentioned should be expanded in the near future. After Russia, the reader gets to know that “A New Blog Is Being Built: www.BlavatskyArchivesOnline.com”. The February edition closes on pp. 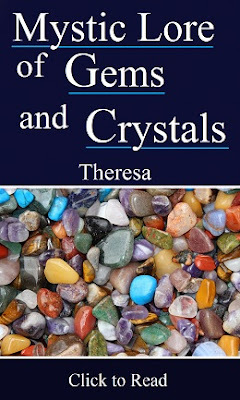 11-12 with “The Great Lesson”, “Awakening into the 21st Century” and “A Message to E-Theosophy”.